SAN ANTONIO - During San Antonio's golf course construction boom of the 1990s, nearly every new course to come along was built on the city's booming Northside. In San Antonio, the Northside is where the money is. It's where the city is growing. It's where the Hill Country begins. All of which means that the Northside is where golf course development is strongest - so that's where the golfers go. Like most cities, San Antonio's golf course expansion has, if not exactly gone bust, at least slowed from a boom to a crawl over the past couple years. But a funny thing happened during the down time: Golfers realized that the other sides of San Antonio - the Southside and Westside - are great places for golf. In the past couple years, golfers have rediscovered parts of San Antonio they might previouly have visited only occasionally for a round at venerable Pecan Valley Golf Club. Now visitors to San Antonio are starting to take notice. The golf courses south and west of Downtown San Antonio are closer to the Riverwalk and to Downtown hotels than the courses on the city's Northside. What caused the growth of golf in these parts of San Antonio? One part of the equation is the willingness of developers to avert their gaze from the foothills of North San Antonio long enough to realize how much easier - and cheaper - it is to build a golf course on the Southside. Buddy Cook is the San Antonio developer behind the Northside courses at The Dominion Country Club and La Cantera Golf Club. Around the turn of the millennium, he developed two new properties on the Westside, The Golf Club of Texas and Briggs Ranch Golf Club. Comparing the experiences of building on the Northside, and away from the Northside, Cook said it was no contest. 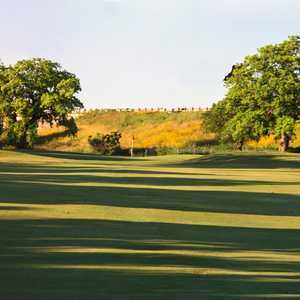 "If 10 is hard like La Cantera," Cook said, "then this (Briggs Ranch Golf Club) would have been a 1." The Northside land is so much rockier, complete with limestone caves that sometimes are home to animal species found nowhere else in the world. As Cook put it, building on the south or west sides of San Antonio prevents having to worry about "endangered cave invertebrates or endangered bird habitat." It also means not having to deal with the red tape involved in building over San Antonio's water source, the Edwards Aquifer. If construction issues aren't enough reason for golf developesr to look south, then there's the price of land. Northside land values have exploded over the past two decades, while Southside prices have remained comparitively low. Developer Larry Hawkins built River Crossing Golf Club north of San Antonio and is now building a course in Floresville, about 30 minutes south of Downtown. The advantages to building on the Southside are clear to Hawkins, who says the new course will be "an upper-end golf course without the price." "We're down in an area where we got land (at a) reasonable (price). We don't have any rock to deal with. Construction and development costs aren't anything like they are up in the north (part of San Antonio)." When The Republic Golf Club opened in 2002, in the Salado Creek floodplain 10 minutes south of Downtown, golfers rushed to try it out ... and they haven't stopped coming. The Republic proved what some golf insiders in San Antonio doubted - that golfers would flock south, forsaking the Hill Country, "wow"-factor golf on the city's Northside, if the course was good enough. The Republic (4226 Southeast Military Drive, 210-359-0000), while flatter than many Northside courses, offers plush fairways, large greens and one of the best collections of par 5s in town. It has emerged as one of the three or four most popular courses with locals. Press Maxwell designed Pecan Valley Golf Club (4700 Pecan Valley Dr., 210-333-8756), which opened in 1963 and hosted the PGA Championship in 1968. Bob Cupp did some touch-up work in 1998, and the course has since hosted a USGA championship. Pecan Valley is revered in San Antonio, considered by most the best course in the city. The Golf Club of Texas (Hwy. 90 at Hwy. 211 N., 210-677-0027) completes the Big Three of daily fee courses in this part of San Antonio. Texas' only Lee Trevino Signature Course sits directly atop of the Balcones Fault, the geographical feature that marks the boundary between South Texas scrub brush and Central Texas Hill Country. There are two City of San Antonio municipals on the Southside, Riverside (203 McDonald, 210-533-8371) and Mission del Lago (1250 Mission Grande, 210-627-2522). Riverside opened in the 1920s and plays through majestic oaks on what is considered one of the best layouts in town. The conditions, however, are spotty. Mission del Lago is a flatter, more open course that is considered more challenging and is generally in better shape. There are also three courses in small towns around San Antonio worth a visit. Pleasanton Country Club (1801 McGuffin Dr., Pleasanton, 830-281-3486) is a semiprivate course about 30 minutes south of Downtown that is known as pleasant place to walk 18 holes. In Devine, also about 30 minutes south of Downtown, is Devine Golf Course (116 Malone Drive, 830-665-9943), a flat, tree-lined course that's a good bargain. But watch out - it has a reputation as a great place to find golf gamblers. 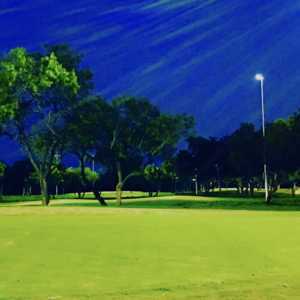 And in Castroville, about 30 minutes west of Downtown, is Alsatian Golf Course (1339 Country Road 4516 #110, (830-931-3100), a well-manicured track whose nines provide a good contrast. There are more courses on the way, too. The aforementioned course under construction in Floresville is called River Bend Golf Club. Four holes will play alongside the San Antonio River. It is expected to be open in late summer 2004. One of the great things about golf in the southern part of San Antonio is the convenience to Downtown and the Riverwalk. Unless you're staying at one of San Antonio's golf resorts, Downtown is the place to stay. Hotels that overlook the Riverwalk come at a premium, but off-river hotels aren't necessarily any more expensive than hotels in other parts of the city. For those with a preference for bed-and-breakfast establishments, Southtown and King William District are historic areas immediately south of and abutting Downtown. The San Antonio Convention & Visitors Bureau Website offers information both on Downtown hotels and on B&Bs. Check it out at http://www.sanantoniovisit.com/visitors/acc_bookaroom.asp. Brent Kelley covers Texas, the Gulf Coast Region (Louisiana, Alabama, Mississippi and West Florida) and Florida. thanks for the great story full of great tips. i played a couple of the courses recommended and was not disappointed!